OCC process is a hot-mold continuous casting process, with the traditional continuous casting the biggest difference is the use of heated mold, rather than the traditional water-cooled mold. 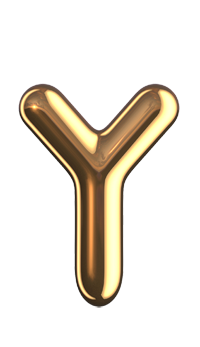 The temperature of the inner wall of the mold is kept above the solidification temperature of the cast metal so that the metal will not solidify and crystallize from the mold wall when it is solidified but will be solidified in a unidirectional direction along the casting direction outside the mold opening. OCC materials are characterized by unidirectional crystallization or single crystal structure, less internal segregation, low impurity and electronic signal with high fidelity. From simple electrolytic copper, progress to oxygen free copper OFC, large crystalline oxygen free copper LCOFC, and today's single crystal copper OCC, after all, what is the relationship between these materials and the wire? We can say that there are three elements that affect the sound performance of the wire, namely, the material, the insulation and the coating, together with the structure of the wire. In the material section, over the years, designers have been totally focused on the improvement of material purity and the improvement of the crystal structure. When the impurities between the copper crystal and the crystal are concentrated, it is a very bad phenomenon. When the crystal is huge, not only the number of crystals but also the amount of impurities are relatively reduced. From the viewpoint of electron mobility, the amount of impurities in the crystal decreases , The movement of electrons is less obstructive, the arrangement of atoms is more regular, and the transmission of electronic signals is very favorable. 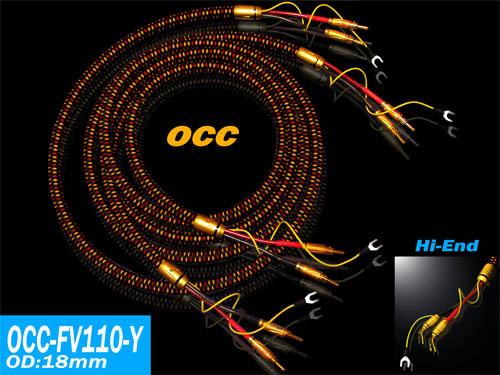 Well, a crystal of OCC can be as long as more than one hundred meters, which is equal to the acoustic wire only uses one crystal only. Although OCC has many benefits, only a handful of high-priced products are willing to use OCC, the vast majority are still based on OFC materials. YARBO AUDIOPHILE ® 2007 OCC series of new wire, made of OCC pure copper wire, the structure specially designed with low capacitance, low inductance, low resistance and low skin effect and other physical, the sound performance is very The noble Naite, clear and transparent, the purity of amazing, but the bass is not too light, low volume, balance is in place. 100% multi-layer shield-covered woven insulation layer outside the installation of strong filter magnetic ring, which can effectively isolate all kinds of foreign noise dry together, together with the new design of the Ya-Po plug, and the use of special wiring, not only very easy to use and This completely blocks the slightest amount of noise mixed in through the wires, leaving the music background still alive with space, overtones and full-fledged reproduction of the fax, making it an ideal choice for high-class enthusiasts. 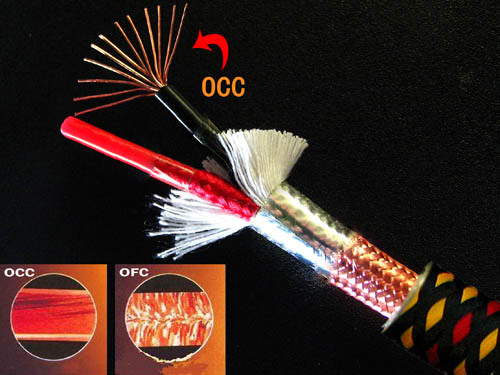 Reminder: When using OCC single crystal copper series wire, be careful not to bend the wire sharply to avoid crystal breakage affecting the sound!